Parking cop is coming to town. Yes. It’s that time of year. Parking cops everywhere. As usual, you’re more likely to be booked for parking in a designated spot without a voucher on your dashboard than simply parking illegally. Very often it’s out-of-state cars that are booked. It’s quite possible they just don’t understand the system. They have been working on covering the open water drain along the eastern side of Northam Road aka Jalan Sultan Ahmad Shah. The plight of pedestrians is not considered, so one is forced to walk on the road among fast-moving vehicles for short distances. Mostly it’s not easy crossing Gurney Drive on foot. But I thought I was doing everything right. A brief break in the traffic was coming, which is often all you can hope for, with a motorcycle proceeding straight ahead in the left lane. So I started across the right lane, ready to nip behind the motorcycle and cross before the next car came. Suddenly the motorcycle swerved right and almost hit me, to turn into a side street. Normally to judge if a vehicle is turning one looks for a turn indicator (bearing in mind that for motorcycles they are often indicating simply because the indicators weren’t cancelled), being in the turning lane – in this case the right lane, and the vehicle slowing down. This motorcyclist did none of these. So for more safety, now I think I should cross where there are no nearby side streets. However, walking along the other footpath, one is often blocked by parked cars and forced onto the road, anyway. Very recently a lady was knocked over and killed on a pedestrian crossing by a motorcyclist at a red light on nearby Kelawei Road. Whenever you cross a road you must watch for motorcyclists who ride between cars, and often ignore red lights, too. You can’t just look straight ahead and cross safely. Just walking along Gurney Drive this morning I noticed a newish car jacked up with a missing wheel parked in a numbered parking space – with a parking ticket. Even though he’s probably got a flat tyre or some other wheel problem that forced him to park there, and he’s not disturbing anyone, as there are plenty of other free spaces. Last week I saw two parking enforcement guys on motorbikes giving out tickets to cars parked in designated spaces without displaying the required coupons. And right nearby is a street where it’s illegal to park, but which is full of cars. These guys weren’t responsible for that kind of parking, and these cars weren’t ticketed. So it seems to me that parking illegally, even when causing great inconvenience for other road users and pedestrians, is much less likely to get you a parking ticket, as these violations are the responsibility of the police, who only check very rarely. If you park in a numbered spot without displaying the coupon you have a good chance of getting a ticket. Even if broken down. You have a few choices travelling between Penang and Kuala Lumpur. The main carriers from Penang to Kuala Lumpur are Malaysian Airlines and Air Asia. Kuala Lumpur has two main terminals at Kuala Lumpur International Airport (KLIA). KLIA, which is where the full service airlines fly to and from, and KLIA2, which the low cost airlines use. (There is another airport, Subang, which Firefly and Berjaya Air operate from, which is likely to be useful only if you wish to go to that area.) Prices vary, but can be very cheap – as cheap as bus or train fares. A flight takes only about 45 minutes, and in that time on Malaysian Airlines they serve a drink in a plastic container and a packet of peanuts, and then come around to collect the rubbish. Those two activities take up the cabin crews’ time while at crusing height. On Air Asia you would not normally be served anything, but of course the flight time is similar. KTM – train company web site – note that for purposes of the web site your point of origin is Butterworth, and destination is Sentral Kuala Lumpur. Penang now has the ETS – Electric Train Service – meaning that the journey to KL from Penang-Butterworth can take as little as just over four hours. This provides more comfort and safety than buses, in a similar travel time, and for a similar price as the better bus companies. There are many more bus companies. And which is best? Of course, this is hard to say. Let’s compare them in terms of travelling time, cost, scenery and enjoyment. If your destination is KL, then let’s look at the time it will take. You should be at the airport perhaps 1.5 hours before departure. Flight time is about 45 minutes, and then once you have landed it will take at least 45 minutes to collect your luggage if you have any, and to get into central KL, and more likely one hour or more. Thus total time from Penang airport to KL hotel is at least 3.5 hours. That is faster than any other mode. It can also be quite cheap if you catch one of the Air Asia specials. Catching a taxi to and from Penang airport, or parking charges there can add considerably to the cost, however. 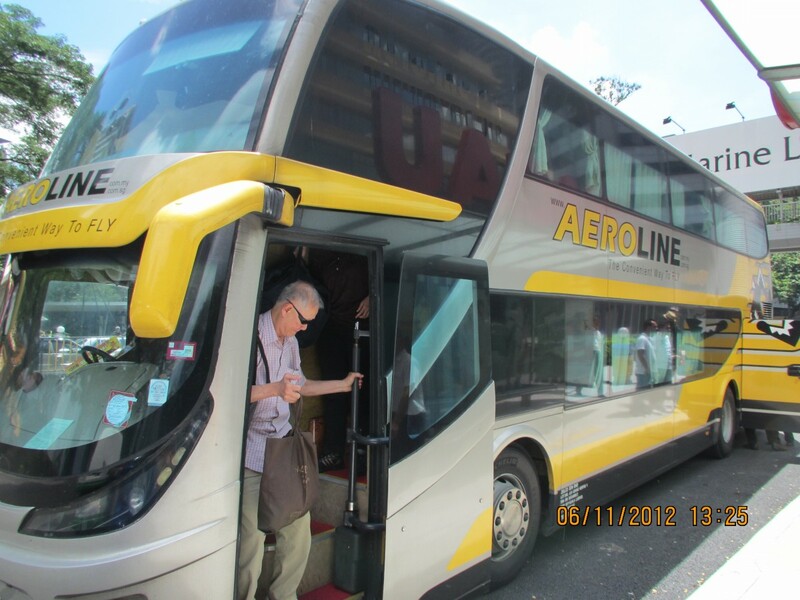 There is no airport bus in Penang, just a local bus, which is not very frequent or reliable. Using the Grabcar app from Gurney Plaza to the airport is about RM26. Uber may be similar. Apart from shortly after take off, the scenery you will see from the plane is not very interesting. It is more stressful flying, but if you are also flying out of KL, it can often be the easiest mode of transport. If you are flying out of KLIA then flying is probably the best option. The airline you choose usually depends on which terminal in KL you fly out from. In Penang, there is only one terminal, so there is no issue with convenience for any airline. But in Kuala Lumpur there is KLIA (Kuala Lumpur International Airport) and KLIA2. 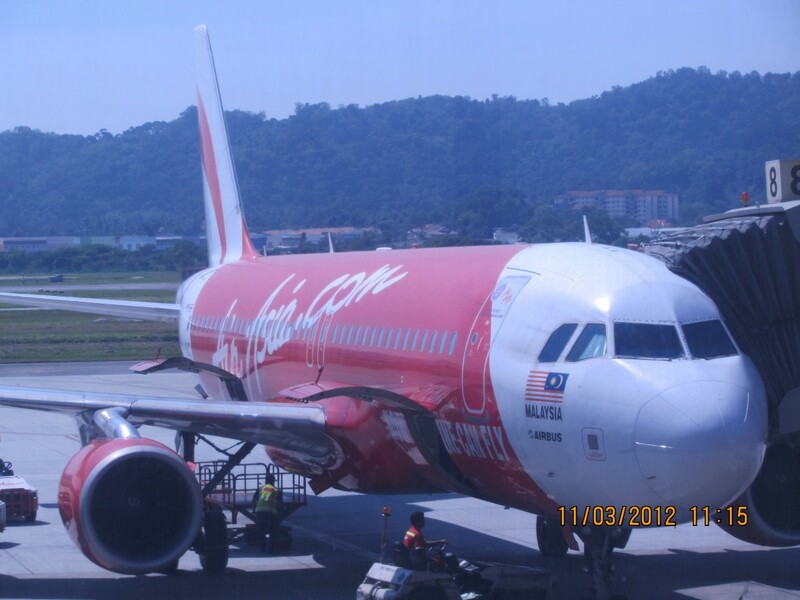 Air Asia flies to KLIA2, so if you are flying from KL on Air Asia, it makes sense to fly from Penang also on Air Asia. And if you are flying from KLIA, then you will probably want to choose a full service airline to fly on from Penang, as it will fly into KLIA. Of course, you can transfer between KLIA and KLIA2, but it takes some time, and is less fun if you have luggage. The train takes a similar time to the bus. It takes about four hours, or up to four and a half, depending on the schedule. Occasionally incidents on the E1 motorway block or slow traffic, which obviously won’t affect the train, but will the bus. 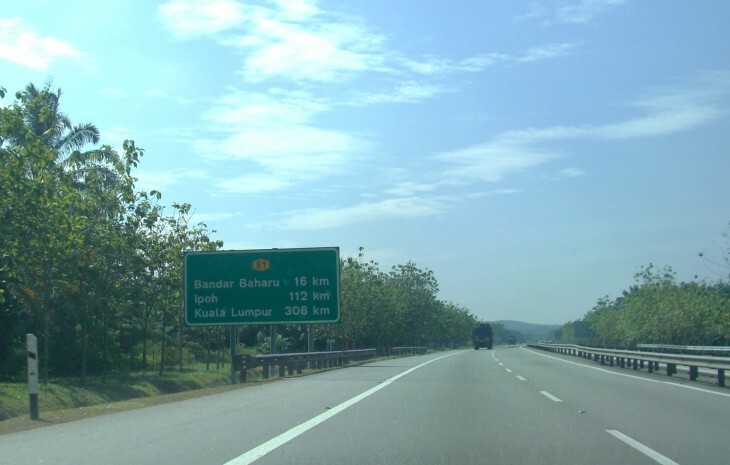 You will also have the travelling time to the station at Butterworth, so add on at least an hour for the trip to the ferry terminal, and ferry to Butterworth. It is very relaxing, though, and the scenery is better than travelling by air or road. Travelling time by bus can be from four and a half hours to more, depending on traffic. But you will probably leave home an hour before the bus departs, so this must be added to the total travelling time. Bus fares vary quite a bit depending on which company you choose to travel with. But the more expensive bus companies tend to be safer, and more comfortable. Aeroline, the most expensive company, quotes on its web site a price of RM60 one way in March 2017. Of course, by bus or car the scenery will be the same, as either way you will be travelling on the E1 north-south motorway. Mostly, the scenery is not very exciting. However, around Ipoh, which is about half way, the scenery improves for a while. The bus can also be quite relaxing, depending on the skills of the driver – the cheaper the bus company, the worse the drivers, generally. Many people find the bus the most enjoyable way to travel this route. I would avoid any very late night / overnight bus journeys if at all possible, as bus drivers and other vehicle drivers have been known to fall asleep at the wheel. When I drive, with three very short stops on the way, it takes about 4.5 hours in light traffic. By car you will presumably be driving directly from home to your destination, so it takes only about an hour more than flying. The road charges are about RM45, and I suppose you will use about RM70 for petrol, although this will vary quite a bit according to your car and driving style. Of course, there are other costs, but for me, as I don’t drive much anyway, it is really only these costs that count. RM115. Double the bus fare for one person, but if two or more people,competitive. Naturally you will be able to carry much more luggage, be able to visit other places en-route if you wish, and have use of the car in KL. You will have to pay for parking, however, which at many hotels is RM10 per day. Is it fun to drive? Not particularly. It’s frustrating as the speed limit is pathetically low, and for the section of the road which is three lanes each way, the left lane is mostly empty, while most drivers drive in the middle lane, making overtaking in the left lane necessary when the right lane is also blocked by a slower vehicle. This is hardly ideal. The disadvantage of the train is that Butterworth station is a bit far from George Town, and you need to catch the ferry. But the bus station has the same disadvantage, being next to the train station. The other terminals for the bus are from Sungai Nibong or Queensbay Mall – also a bit far. Then, you find the same disadvantages for the bus and train in KL, where the terminals are not central. But the airport in Penang is further away, and the airport in KL is even further out, so really, unless you are flying out of KLIA, I find the train offers the best combination of safety, comfort and convenience to central Kuala Lumpur. One should apparently exercise at least 30 minutes a day, and possibly the easiest and most pleasant exercise is walking. In Penang this has been difficult in many places, but footpaths are being built and upgraded, so the situation is improving. Unfortunately, some car drivers see footpaths as a convenient place to park so that they don’t have to walk. Often this forces pedestrians onto a busy road with cars driving quite fast, so you have to wait for a break in the traffic to get past the parked car blocking the footpath. Or risk getting killed. Of course, car lanes are quite narrow here, so you have to be careful. Better signposts indicating where safe and legal car parking is available might help. If these drivers parked safely and walked a little, they would also improve their health. In fact, when you see strategies for scheduling exercise, they often mention parking further from your destination and walking as one of them. Some motorcyclists seem to view footpaths as a traffic free speedtrack. The other day I was surprised by a motorcyclist zooming towards me at around 40km/h. Others see it as a way to ignore one way streets. And others just to avoid traffic on the road. Some cyclists also use the footpath, but in my experience they ride quite slowly, and I haven’t yet felt threatened – and I sympathise, as facilities are as yet quite poor for cyclists, although they too are improving slowly. Faster cyclists tend to cycle on the road. inconsiderate parking by bus – there is a long length of lane with a yellow line where he could park which would not block traffic, but instead he parks on the corner where he causes a jam when traffic is heavier. These buses do this all the time – but occasionally a driver is more considerate. More people are walking today than before, I think – a mixture of tourists and locals. It would be nice if pedestrians were respected.